The Royal Grenada Police Force is reminding the general public as we approach the carnival season that the use or possession of offensive weapons in a public place is prohibited. An “offensive weapon” means any article made or adapted for use for causing injury to the person, or intended for that use by the person having it with him. Offensive Weapons include; knives, cutlasses, ice-picks, guns, chains, broken glass bottles and others. “Public place” includes all premises and places to which the public at the material time have, or are permitted to have access, whether payment or otherwise. Section 5 (1) of the Restriction of Offensive Weapon Act Cap.288 of volume XIII States, whoever without lawful authority or reasonable excuse, the proof whereof shall lie on him or her, is in possession in any public place of an offensive weapon shall be guilty of an offence and liable, on summary conviction, to imprisonment for six months and a fine of seven hundred and fifty dollars, and the court convicting him or her may make an order for the forfeiture or disposal of the weapon in respect of which the offence was committed. “Powers of the police” A police officer may, without warrant, arrest a person whom he or she has reasonable cause to believe is guilty of an offence under section 5(1) if the police officer is not satisfied as to the person’s identity or place of residence or has reasonable cause to believe that it is necessary to arrest him or her in order to prevent the commission by him or her of any other offence in the course of committing which an offensive weapon might be use. 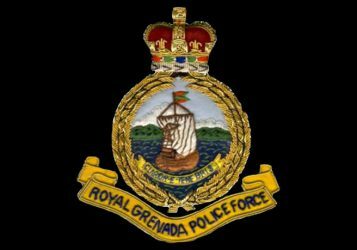 The Royal Grenada Police Force thanks the general public for their cooperation in adhering to the laws of the land and wishes all an enjoyable and safe carnival.